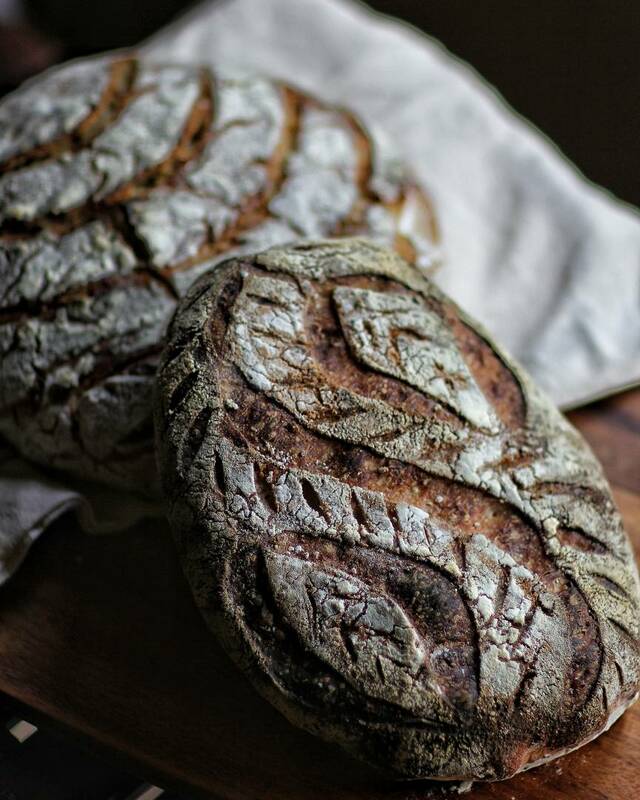 When i think of sourdough bread , i think of cozy hygge. I think of those petit little Parisian cafés by the banks of the Siene river with that aroma of their freshly baked crusty bread in the morning lingering in the air spreading across the streets as you walk past them. Their shelves filled with different kinds of sourdough , wheat , flour , rye with olives , sunflower seeds , cheese and chives . Ooooh the flavour combinations! 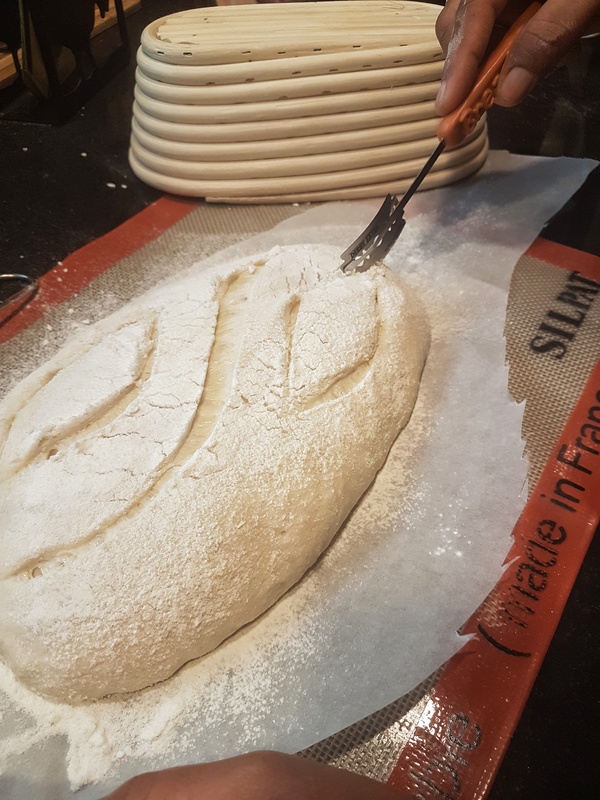 Naturally leavened with wild yeast and lactobacilli , this bread takes me straight to the doors of heaven. This is something I’ve added to my repertoire recently as i learnt it from a chef who had come down recently. Sourdough has taken my heart. 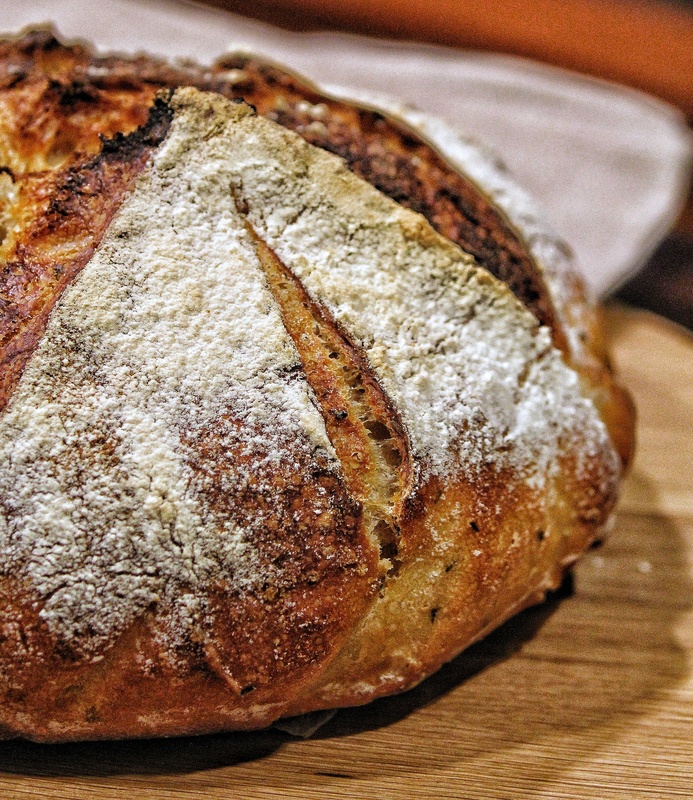 These were the first ever breads to be made on this earth thousands of years BC and have recently been revived by many a baker all over the world, and for good reason i have to say. 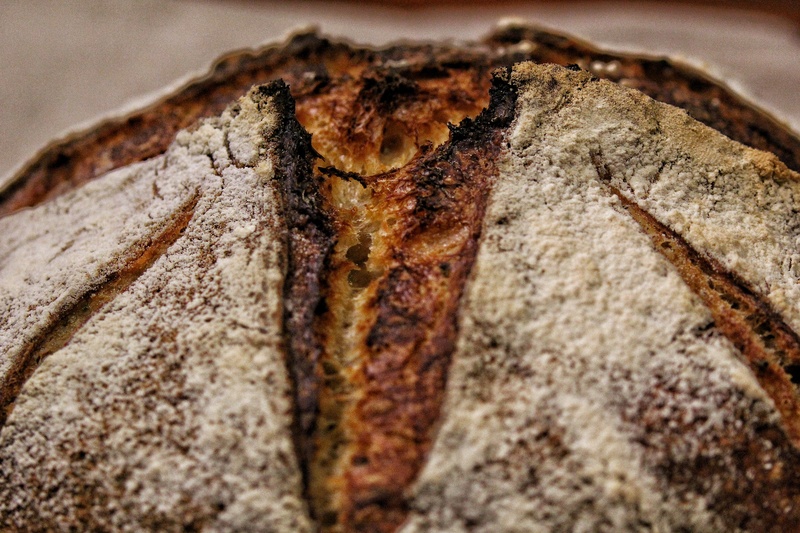 Think sourdough , think rustic,artisan,crunchy, chewy, delicious bread. The feel of the dough , soft , moist heavily hydrated , springy , spongy, cold and alive all at once in my hand. No other feeling is as soothing. Fold after fold i can feel the dough spring to life till its in the rattan banneton shaped up, supple alive and awake ready to be baked into the most gorgeous loaves. Quite rightly called a labour of love. Time to score , cutting the skin of the dough to reveal wet, moist, hydrated dough ready to spring up. 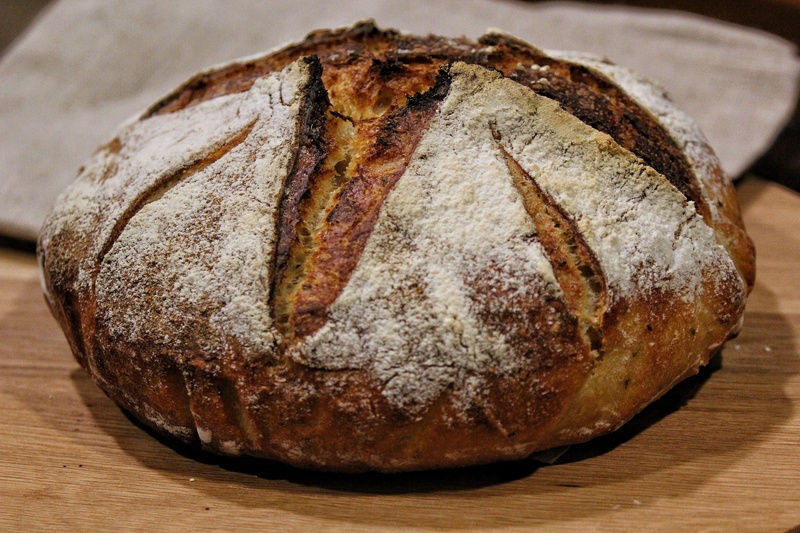 As i open the lid of the dutch oven, there they are with their gorgeous golden brown crust, risen up nice and big, beautifully scored , the most divine smelling bread, cut open to reveal the perfectly chewy airated crumb full of those gorgeous holes. One bite and you get crunch and soft and chewy and sour. What could be more cozy ? What could be more divine ? Previous Post Where to next ? Beautiful! !! You took me to those gorgeous days when we lived practically on these warm crusty loaves with a dash of butter and cheese. Very well said indeed. After munching on these breads you make , I cannot go back to store bought bland white loaves. Our sourdough passion is really overtaking us!! !